Art, a red brick mission church and aloes – it couldn’t have been a better day. 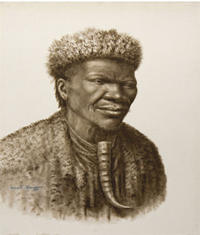 I remember gawking over Gerald Bhengu’s work as a matric art student. Since then, I haven’t really ever thought about this artwork until the other day when I was twiddling my thumbs in a meeting. I nearly jumped out my chair when I heard that the Department of Arts and Culture will be opening the Gerald Bhengu Gallery in Centracow. THAT’S 40 minutes from my door step in the Southern Drakensberg region!!! I zooted along with Helga Mclean (a woman who is very passionate about tourism and her region) and driving down to Centacow I felt like I was in the heart of a chapter from Cry the Beloved Country by Alan Paton. 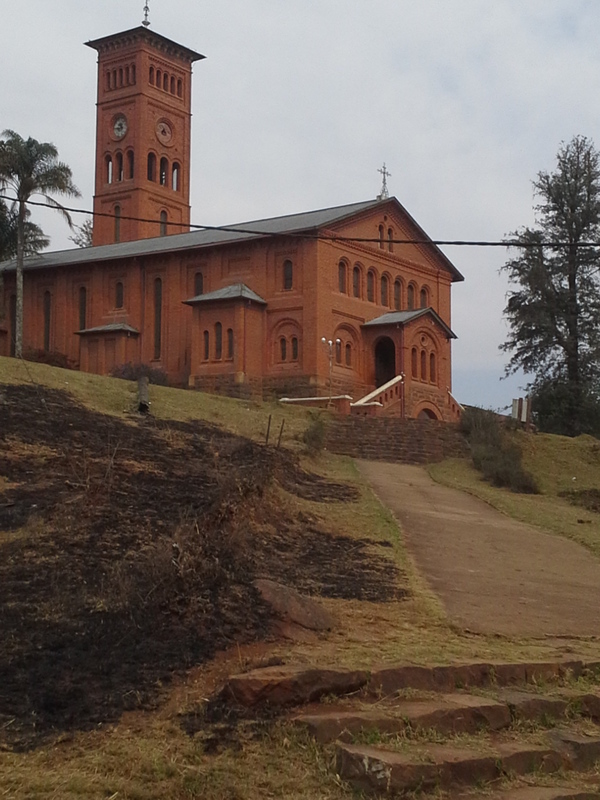 The scenery was imposing – I was anticipating the steam train to whistle past the red brick missionary. The gallery was solemn, the collection was intense. 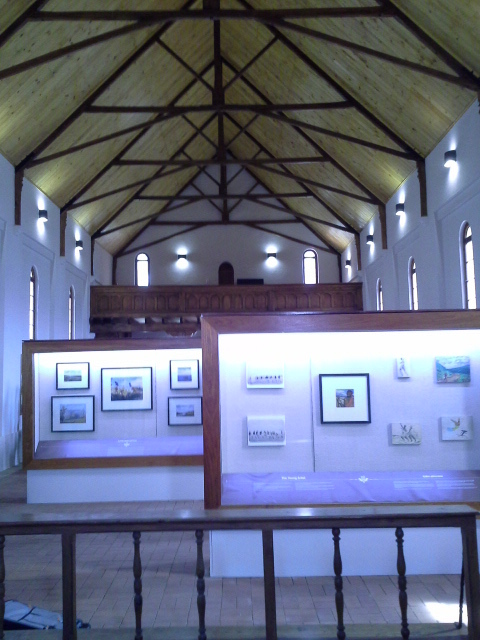 The restoration of the old mission church to house the Gerald Bhengu Gallery and Museum was made possible by the Roman Catholic Church, Joan St Leger Lindberg Charitable Trust, National Lottery Fund, KZN Dept. of Arts & Culture, University of KwaZulu-Natal, Siskonke District and Ingwe Municipalities. I was proud of my country yesterday. It was apt to recognise Gerald Bhengu and the Mariannhill Mission Station in Heritage month. 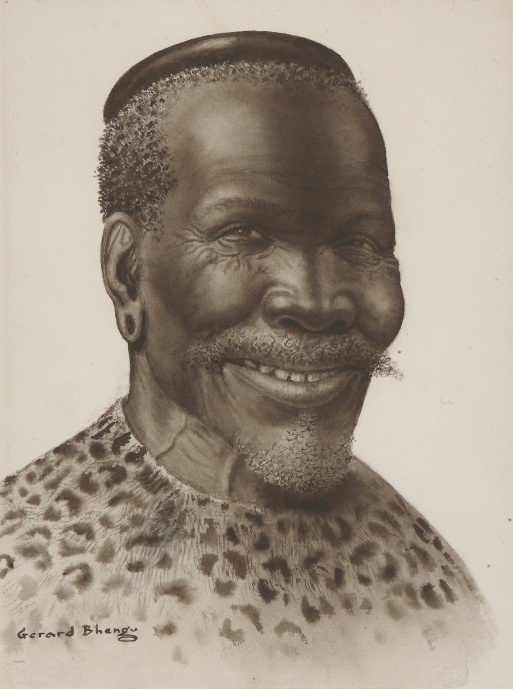 Our Africana art collections deserve the tribute given.